Where can I change my infant's nappies on campus? Baby change tables have been installed in toilets across the campus. These are generally located in unisex accessible toilets. Where no unisex toilets are available, the change table has been installed in the women's toilet. 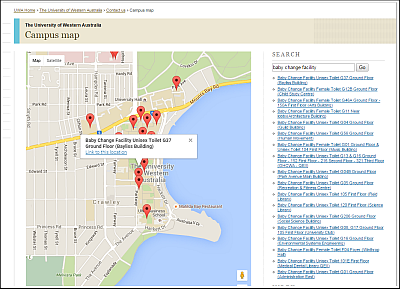 A list of the specific buildings in which baby change facilities are available can be found on the UWA Map.